NIXTOX XP polyethylene drum activated carbon adsorbers are designed for environmental remediation, industrial emissions, and other highly corrosive vapor phase applications. The GAC drum adsorbers are fabricated of UV inhibited resins which can withstand the rigors of environmental remediation and industrial emissions applications. These activated carbon adsorption drums are equipped with a condensate drain and electrical ground connections. These GAC drums feature specially constructed vapor distributors, which permit even flow distribution, thus efficient utilization of the activated carbon. 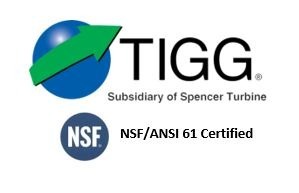 For more information about TIGG’s NIXTOX Activated Carbon Polyethylene Drum Adsorbers, call 1-724-703-3020 or click here to contact us.